Add chopped and slightly cooked carrot, haldi, namak, lal mirch powder and dhaniya powder to it fry for 2 min. Add about 1/2 cup of water, cover the pan and let it simmer till carrot is cooked (not mushy, but cooked). Make sure the launji is not runny, so please do not add any more water than needed. It is not a complete dry curry but not even a gravy curry, somewhere in between. It should be just that the sauce has coated the carrot pieces and not more than that. Serve it with either roti/paratha or poori. This can be prepared and stored in refrigerator and used by warming, whenever needed. It can easily stay up in fridge for 2-3 weeks. 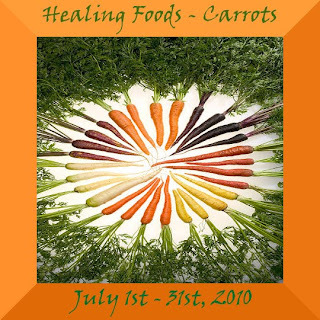 I am sending this to Healing Foods - Carrots event of Suma, started by Siri. I am sure it feels wonderful to cook with veggies that you've grown. The curry looks good and the recipe is quite simple. carrot is one thing which I use so extensively..should try thi s one..
Wow cooking with ur own veggies, awesome Priya..curry looks beautiful..
Beautiful crop, congratulations! the curry looks delicious and so healthy! A very different recipe. Looks too gud and colourful. This is such a wonderful recipe!!! I love it! 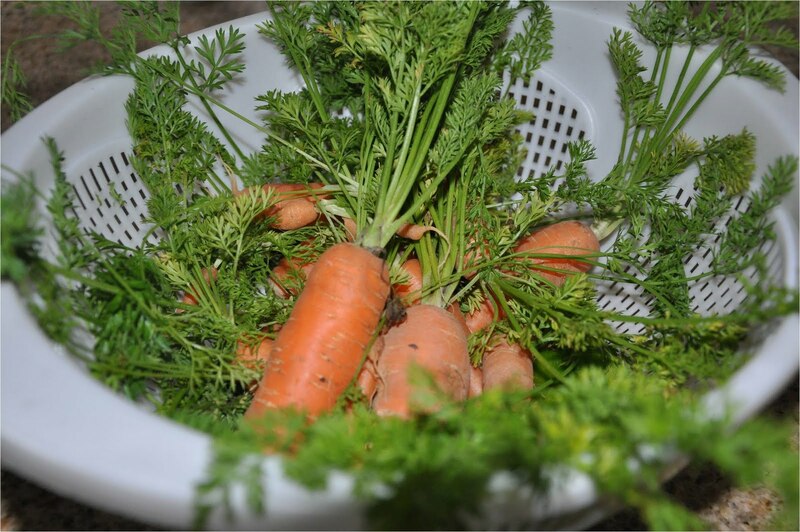 It's such a great feeling when you grow your own veggies and cook with it!The launji mkaes my mouth drool... Nice clicks! Wow looks very tempting..too good. Carrot looks good. It is always tasty when they are coming from our garden. really delicious carrot curry.. liked the sweet sour combination.. sure taste really yummy.. best with rice/chapathgi..
Wow home grown carrots looks so fresh..deffinetly the cuury will be delicious..
Home grown carrots sure look fresh and tasty and the launji looks delicious. Wow, must be really exciting to cook with home grown veggies! Launji looks lajawaab! interesting yummy recipe...love to taste some..! woooow...this looks so so delicious, i am going to try it in very next meal! Priya m excited for u...I too luv growing veggies n herbs...sumtime back i harvested a bigbatch of potatoes...n tat was soo gratifying. Liked ur recipe...specially the addition of fennel...bookmarking it. That's such an achievement!! Your first crop! Too good! :) The launji looks great. Nice pics too! This is a yummy and appetizing curry. Wow dear, home grown stuff. Kool. Wow, this curry is different, i am so tired of my carrot thorans and such that i am not making curries with only carrots in it anymore. Going to try this one. Thanks for the recipe. Fantastic! 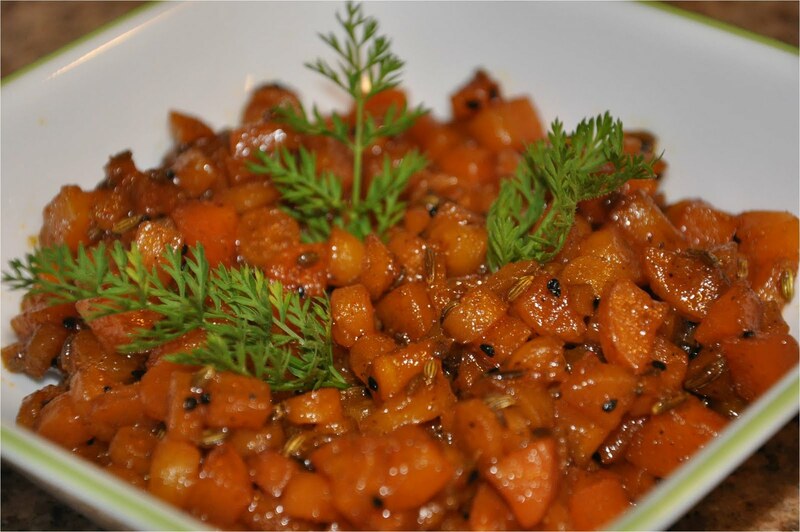 Never thought carrot sabzi could be this delicious. Thank you very much. Bread Ka Halwa and few more halwas !!! My small backyard garden !! !